Babies taking over the gym!! 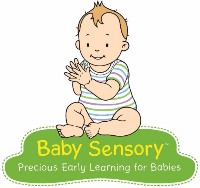 A new Baby Sensory Class that only started in Littleborough in August has got so popular that more classes are now being added to the programme. Kelly Trowers, Class Leader attended an Award Winning Development classes with her own baby and fell in love with Baby Sensory so much she decided to bring the Franchise to Rochdale. With a background in Adult Learning and Development and Guest Services, the former Disney Cruise Line employee wanted to bring the fun and magic of Baby Sensory to the Borough. Baby Sensory sessions are fun for parents and their babies. Each session includes valuable parenting tips and guidance. The activities are designed to help with early sensory development and are particularly suitable for babies with physical and/or sensory impairments. There are over 50 unique session plans which means parents will never come to the same class twice. Kelly says: It's great to see the babies developing each week and also the parent friendships flourish. It can be overwhelming being a parent especially when the flowers and fuss have disappeared. Baby Sensory classes are great post natal too. You arrive at Baby Sensory with your baby and leave with magical memories. To make sure you don’t miss out on the classes contact Kelly today. Classes take part at Littleborough Boxing and Fitness Club. Birth to 6 months - 11.30 - 12.30 and Birth to 13 Months - 13.00 - 14.00. To find out more email, Kelly direct on rochdale@babysensory.co.uk, call 07505 287305 or check out Baby Sensory Rochdale on Facebook.